The offer has been placed by company ECOLAB Znojmo, spol. s r.o. The combination of production with their own research enables the targeted preparation of SRF according to the wishes and requirements of the client. 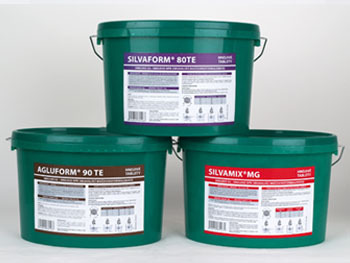 We produce 10 formulations of products under the names SILVAMIX, SILVAGEN, SILVAFORM in the form of tablets and powder. These are special solid slow release fertilizers with a very high nutrient content which is released over a period of at least two years. The main nutrient is nitrogen - in the form of urea-formaldehyde condensates. They do not contain undesirable additives or chlorides, they are preferred for application to plants on less accessible sites or where you can not use conventional methods of fertilization.